Apple has increase efforts to obtain content for the firm’s rumoured upcoming newspaper and magazine subscription service, claimed a report. 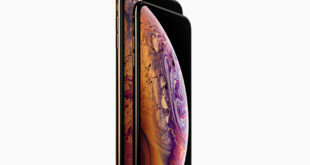 The Wall Street Journal reported that "people familiar with the matter" had told the paper that the iPhone-maker had "accelerated its efforts to persuade publishers" to provide content for the periodical service which may launch in the next two months, the report said. At the moment the iTunes store only sells individual copies of periodicals but rival services such as Amazon’s Kindle have been quick to sign up a raft of major publishers of magazines and news papers for easy convenient viewing on the device. The WSJ said that publishers were concerned with the 30 per cent cut Apple takes on subscriptions however Amazon’s Kindle service is known to take a much larger cut, as much as 70 per cent. Publishers with waning print circulations have still been keen to sign up, hoping that e-readers will go some way to revive flagging circulations. Time Inc has already offered Time and Fortune magazines on Kindle but is holding back a range of other titles. "We’ve said all along we don’t believe the Kindle, in its current incarnation, will be a substantial distribution channel for magazines," the publisher told Advertising Age in January. One of the concerns print publishers have with the new electronic publishing mechanisms is the loss of control in the relationship with the customer such as not having contact information. However the WSJ cited publisher executives who said that Apple appeared receptive to finding mechanisms of sharing information with iPad subscribers.